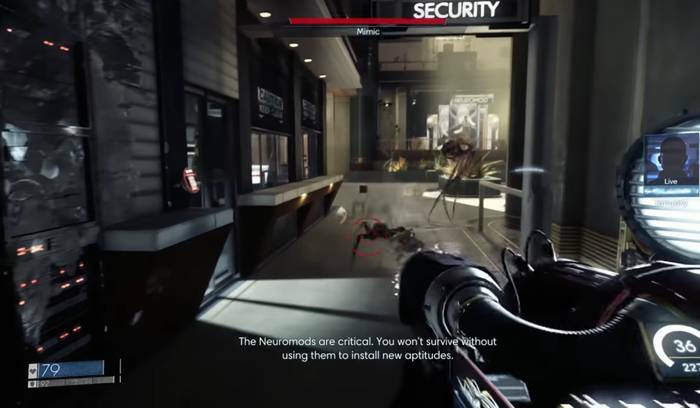 This page contains a full walkthrough of the Break Out for Prey, including objectives, items and enemies encountered in the game. 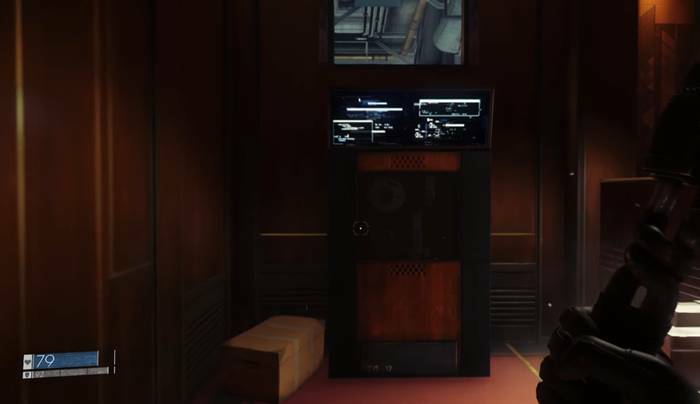 This is a Prey walkthrough article. 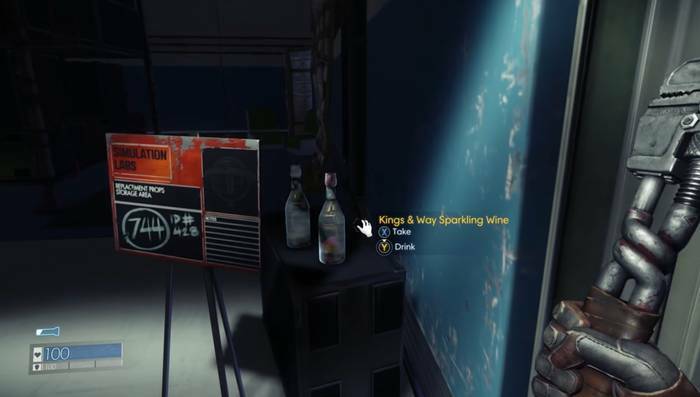 This page contains a full walkthrough of the Break Out for Prey, including objectives, items and enemies encountered in the game. After grabbing the Heffy Wrench and spare parts from Patricia’s corpse, head back to your apartment. With the wrench equipped, approach the glass door leading to the balcony and smash it. You’ll reveal an exit (and realize that you’ve been living in a simulation room). January will contact you again and tell you to head to the exit. Head up the small steps just ahead and head left to pick up some items first (you’ll want to take the path on the right to the simulation room later). Walk ahead and grab frayed wire and used plastic tubing on the right. Then, proceed along the corridor until you come up to a simulation labs sign. Take the Kings & Way Sparking Wine bottles there if you want. After grabbing the items, head back to the first area (where you were after smashing the fake glass door). Take the path going to the simulation lab. First, head to the simulation debriefing room. Access Marco Simmons computer by reading the sticky note taped on the monitor for the password. Here, you can read some of his email. Afterwards, climb up the tape drive (at the left of room) to find a note and a briefcase. The briefcase will contain Impact Dampener CRU [v1], a chip that you can use to upgrade your suit. You’ll also obtain a medkit, Glucassist!, the Disruptor Stun Gun and Disruptor Batteries. Afterwards, leave the debriefing room and head for the door at the end of the hall (with glowing emergency light). In the next room, you’ll see a helicopter in the middle. Head for the room in the direction of the helicopter’s front (with the big TranStar sign above) to head to the simulation lab. Then, go inside the elevator to confirm your destination (though you are already on the simulation lab floor) to proceed through the lab. 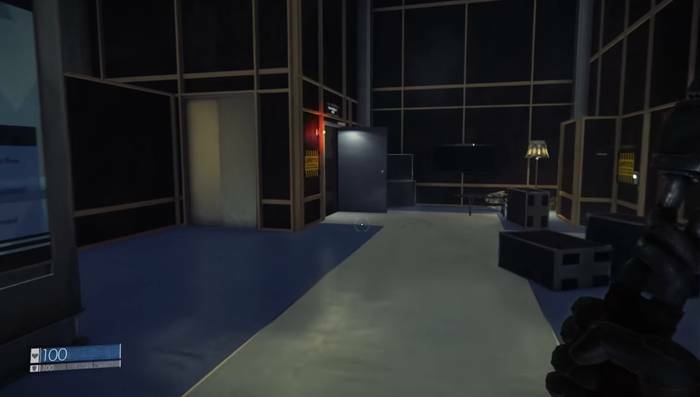 Instead of going to the simulation room’s door for the subject, head inside the control room just ahead and grab the Medkit on the left. When you proceed to the simulation lab staff room (where Bellamy was attacked by the mimic), January will give you a call and tell you to be careful of things that you pick up. Afterwards, head to the exit just ahead and go up the stairs. When you get to the top, head for the decontamination room. When you enter, you’ll see Jovan Gravilovic get killed by a mimic. Afterwards, January will call you again, promising help. Head inside the room where Jovan was killed and get your wrench ready to kill a mimic there that will sneak up on you. Before leaving, get the medkit and loot Jovan’s corpse for spare parts, lemon peel and baseball glove. Afterwards, head to the next room. Stay on the alert for various mimics disguised as either boxes or stools. You may catch them as they are trying to morph from one object to the next. After killing the mimic, you can choose to use some of the computers to read some of the employees’ emails. Proceed to the middle of the room and turn right (where a spiked plant will be encased in glass). Enter the Dr. Bellamy’s office but watch out for the mimic that will sneak up behind you. After killing the mimic, grab the Simulation Lab keycard from the desk. Exit the room and head for the exit on the opposite end. You’ll be able to unlock the door using the simulation lab key. Or instead of taking the door, head right and climb up the tape drive, but be careful of the mimic in front of it (which is disguised as a box on the floor). Squeeze yourself through the maintenance access panel and follow the path. Open the maintenance access panel at the end of the path and drop down to the new area. In the window of the room just ahead, you’ll spot a Phantom (as identified by January). Ignore the Phantom and proceed further, turning to the right at the corner of the room. 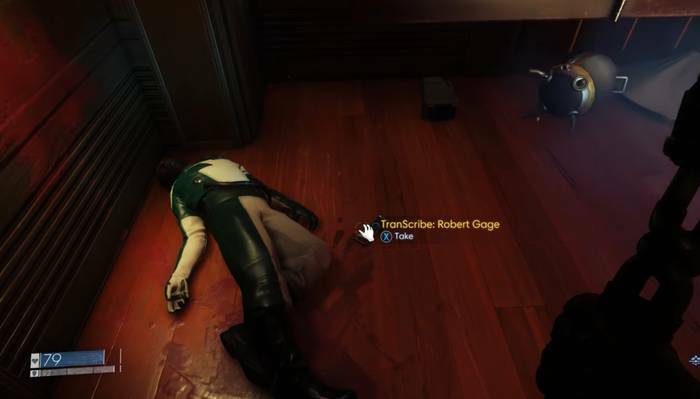 You’ll see a mimic corpse in the way. Destroy it with the wrench and grab the GLOO Cannon near Veer Singh’s corpse (to the right of his body is some ammo). Loot Veer’s corpse for some ammo and a medkit. Equip the GLOO Cannon be prepared to shoot at a group of mimics that will come at you as you approach the foyer. After freezing them, destroy them with the wrench and loot their corpses which will occasionally have mimic tumor, typhon organ, or some ammo. You’ll soon get a call from January again about getting your first Neuromod in a case just up ahead (Everything You Know is About to Change). Proceed forward but head inside the room on the left first. Be prepared to engage some more mimics that will come out of the room. Inside the room, pick up the TranScribe from Robert Gage. Loot him for a Medkit and Agave Plant Clippings. Exit the room and get the Neuromod from the glass case. Use your wrench to break the glass, then take the Neuromod. It’s up to you to decide which ability to spend it on, though it’s almost always a good choice to go for Physician I to recover more health from Medkits by 150% this early in the game. 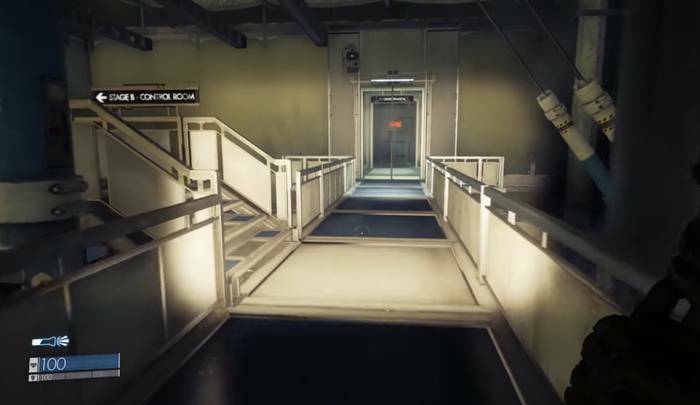 From the Neuromod case, proceed right and follow the path to the door that leads to the main lobby. When you get inside, follow the path until you come up to a corpse next to a couch and briefcase. 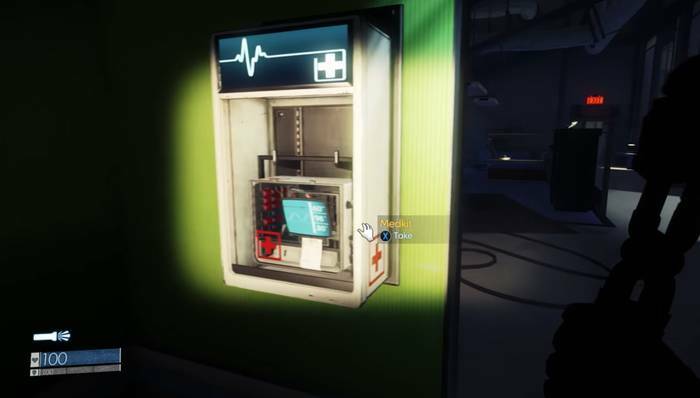 Loot the corpse (Nash Underwood) for some ammo, a medkit and another neuromod. January will contact you again, asking if you’re ready to take your “first real view” of the world. 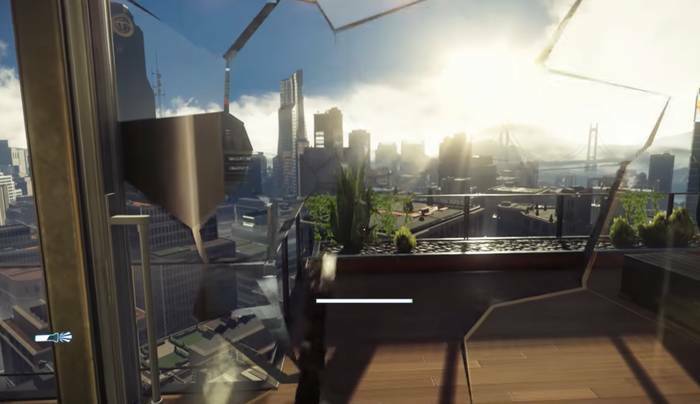 Move ahead to the lobby and descend the steps to complete the mission, which will continue in An Office with a View. Very good blog! Do you have any tips and hints for aspiring writers? I’m planning to start my own site soon but I’m a little lost on everything. Would you suggest starting with a free platform like WordPress or go for a paid option? There are so many options out there that I’m totally overwhelmed .. Any recommendations? Many thanks! I and my pals appeared to be going through the excellent information and facts located on the blog then all of a sudden I got a horrible suspicion I had not expressed respect to you for those strategies. My young boys became so happy to study all of them and have now extremely been enjoying them. Appreciate your genuinely well kind and for using these kinds of incredibly good subject matter millions of individuals are really needing to know about. Our own sincere apologies for not expressing gratitude to you earlier. Greetings! Quick question that’s totally off topic. Do you know how to make your site mobile friendly? My blog looks weird when browsing from my iphone 4. I’m trying to find a template or plugin that might be able to fix this issue. If you have any recommendations, please share. Cheers! I would like to thnkx for the efforts you’ve put in writing this website. I’m hoping the same high-grade website post from you in the upcoming also. Actually your creative writing abilities has encouraged me to get my own site now. Actually the blogging is spreading its wings quickly. Your write up is a good example of it.